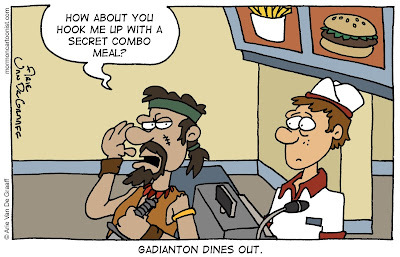 Given his propensity for the quick and easy way out, it's no surprise that Gadianton would frequent fast food restaurants. Today's gag comes courtesy of faithful reader Klinton H.
Gadianton was a Book of Mormon bad guy who helped form a band of robbers renown in the Book of Mormon for their secret combinations. 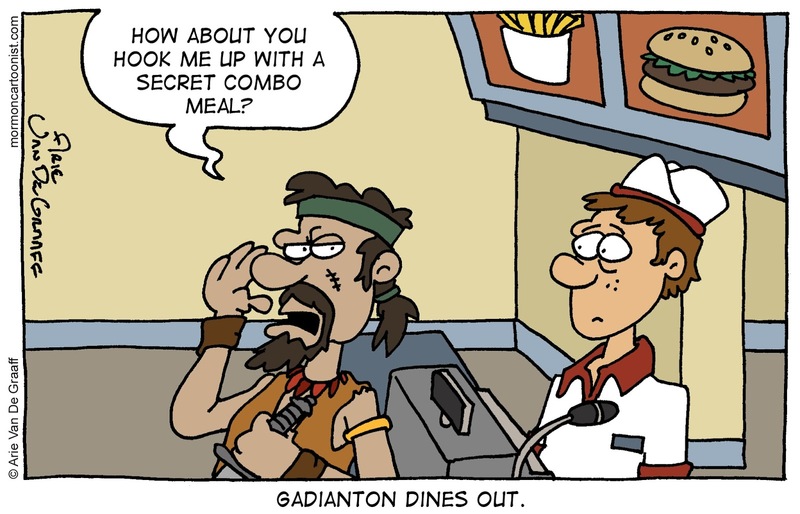 It makes sense, then, that he'd be interested in making his combo meal a secret combo meal.